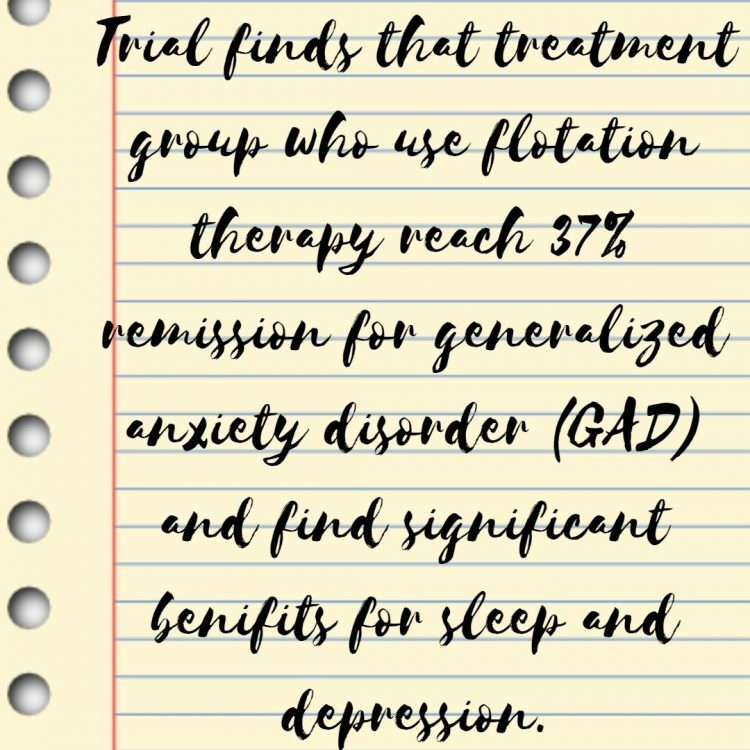 This randomised trial from 2016 sampled 46 volunteers, they were treated with either 12 flotation therapy sessions or put into a waiting list control group. 37 % of the treatment group reached full remission at post-treatment. 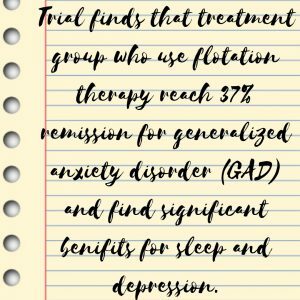 Significant beneficial effects were also found for sleep difficulties, difficulties in emotional regulation, and depression. All improved outcome variables at post-treatment, except for depression, were maintained at 6-months follow. No negative effects were found.